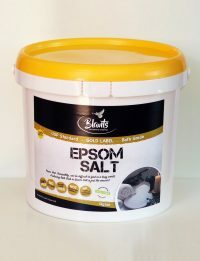 Our Gold Label Epsom salts, also known as Magnesium Sulfate is independently analysed to ensure top quality and that it is free from heavy metal contamination. 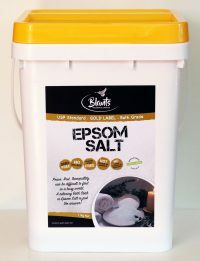 Blants Epsom salt does not use cheap chemicals in its processing, as can be the case with other, inferior, grades of magnesium sulphate. And this comes at no added expense to you. From generations to generations Epsom Salts have been a household must-have. It was once common place to soak in a bath of Epsom Salt and feel the tensions ease away. But modern life, busy as it is, means many of us use the shower instead, and miss out on a truly natural soother and relaxer. Many have come full circle, and wisely returning to some wonderful ways of old! 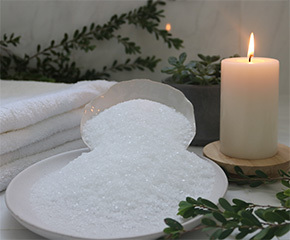 Add 1 – 2 cupfuls to a warm bath, lie back and relax for 20 – 30 minutes. Try this 3 – 4 times a week. The quantity of salt and frequency of baths varies according to the size of your bath, and on your personal preference. Add ¼ cup to a foot spa or tub of warm water and soak your feet. You can even use it in the shower, as a body scrub. Other uses for Epsom salt include facial scrubs, hair volumising treatments, splinter removal, and more. You can also use Epsom Salt in your garden. 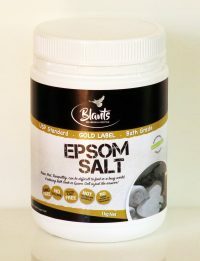 Our Gold Label Epsom Salts are available in NZ online in 1kg, 5kg, 11kg, 25kg. 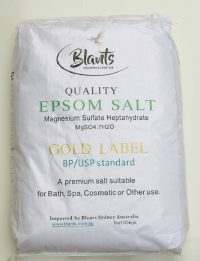 We also supply a Natural Epsom Salt from Germany, that is food grade Magnesium Sulfate.